Healthy skin is essential for providing the right canvas for applying makeup, to enhance natural beauty and create natural healthy looking skin. I’ve been hesitant to write up this post, only because I found explaining the skincare products to be one of the most difficult things to put in writing. I want to know the right function of the products, and how it’s effectively improved my skin, or if it’s improved my skin. After all, there are different skin types, which means certain products that work for me, might not work for you. Vice Versa. However, people have always been fascinated about my healthy, clear skin. 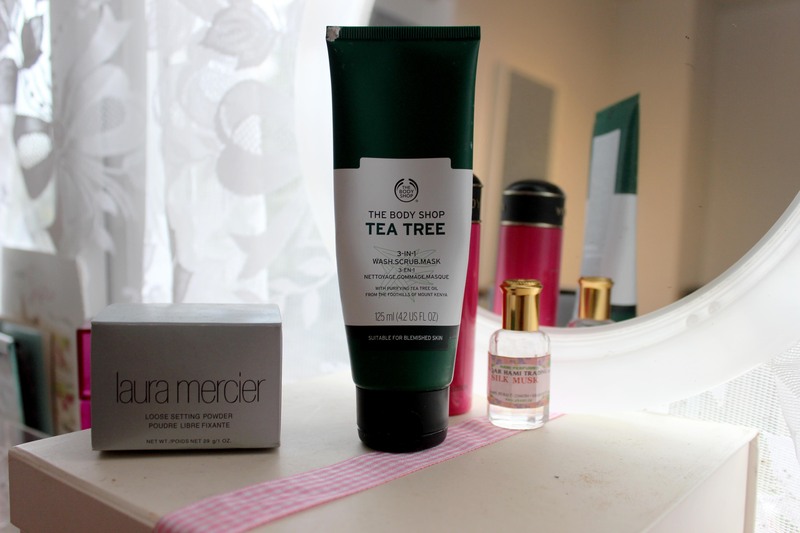 I felt its only right to shout out the products that I have kept locked away in my bathroom for my routine. For as long as I can remember, I’ve always been a skincare enthusiast. Due to the constant compliments, and also being a blogger, I do feel the pressure to keep my skin looking fresh and radiant. 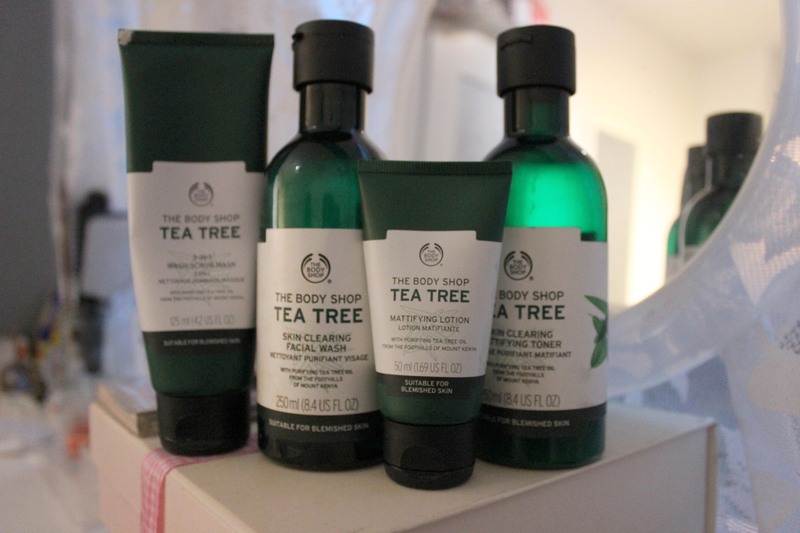 The body shop, tea tree skin clearing facial wash is a product I have been using for the last two years. It’s one of the highly recommended products for oily, and combination skin. I was surprised to see it fit in with my routine. It’s the first touch to my daily skincare routine, the steps that will help remove impurities and excess oil, leaving the skin feeling refreshed and purified. This Skin clearing wash reduces oiliness and shine, making the skin appears visibly clearer. 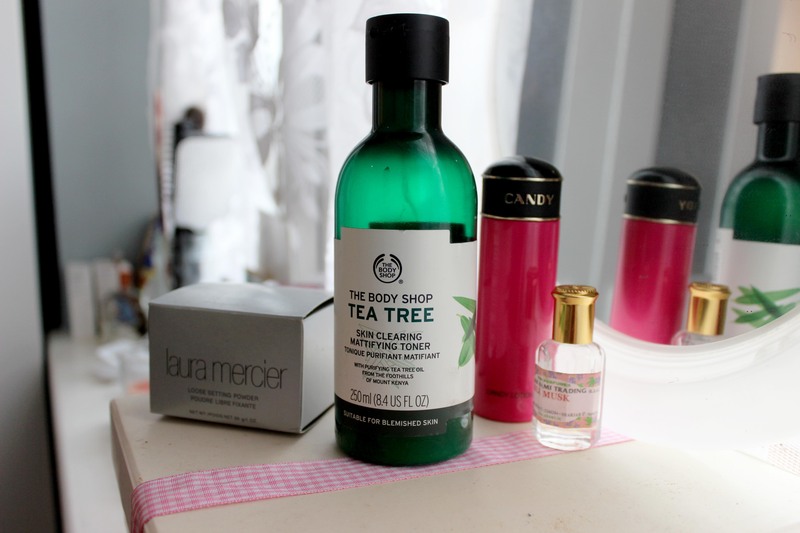 After the cleanser, the tea tree toner is lovely to apply. It removes any residual traces of makeup and impurities, which can clog up the pores. With shake-to-activate mattifying powder, I add 20p pieces of the product into my cotton pad, massaging it all over my face and neck. After using this, my face feels clean, toned, and refreshed. A minute later, you feel a tingling sensation, nothing intense, working its magic. The mattifying lotion I apply to my face after the cleanser, I add a 20p piece of the product into my hands to massage my face. It’s easy to apply, and sink into my skin beautifully, instantly mattifying my face. It also moisturises blemish skin and keeps your foundation matte. A new addition to my routine, I have used the three-in-one wash scrub mask now for around six months. I love the texture, I’m very much a scrub and mask girl, a combination of all three intrigued me. I didn’t think I would like it as much as I did, using all three methods get me looking forward to using it at the end of my day. When used as a wash, the foaming clay removes impurities and excess oil. As a scrub, the exfoliant unclogs those horrible pores, smooth skin’s surface and reduce the appearance of blackheads. Leaving my skin feeling refreshed and clear. When applied as a mask, the dry clay reduces shine, deeply cleanses, mattifies and tightens pores. I’m fond of using this product once a fortnight as a mask, and every two days as a scrub. Intrigued? 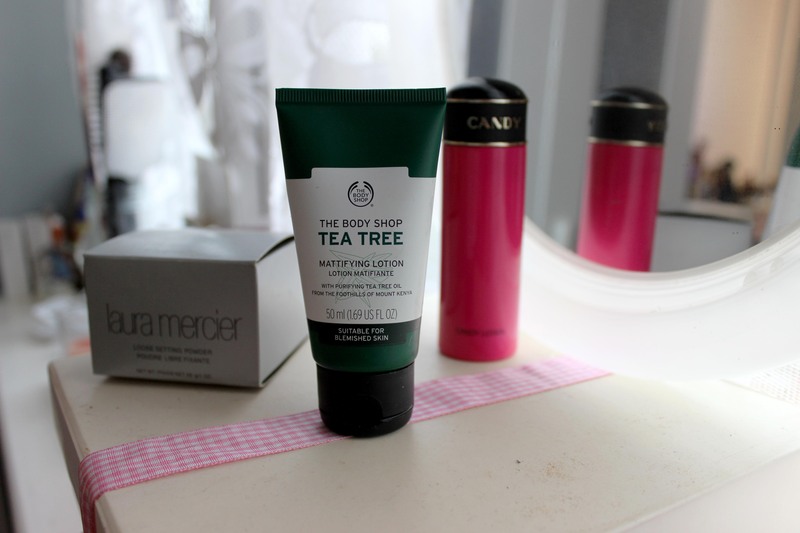 What product do you think you’ll pick up from Body Shop? or do you already use these? How are you finding it?